Dangers of vaccine hesitancy: where does the EU stand? In 2017, Europe observed a 4-fold increase in measles cases compared to 2016. Shutterstock/Montebasso. All rights reserved.While the World Health Organisation warns of major measles outbreaks spreading across Europe, vaccination has stepped into national and EU political debate as a major health issue. Looking at the 2018 Italian general election, some candidates scrambled to deliver a clear position on this matter. Adopted last summer, a new Italian law on vaccines introduced 10 mandatory (and free of charge) vaccinations for preschool and school-age children. Parents now have to present vaccination certificates to schools which must notify the local health authorities when they fail to present those documents. The Democratic Party and Forza Italia political parties champion the so-called ‘Lorenzin Law’ while the right-wing Northern League and the 5 Star Movement call for immunizations to be left to parents’ discretion, regardless of WHO warnings on measles outbreaks. France followed in Italian footsteps and made 11 vaccinations mandatory from January 1, 2018. As it was stated by French Prime Minister Édouard Philippe, it is unacceptable that children are still dying of measles in a country where some of the earliest vaccines were pioneered. Indeed, south west France has been recently hit by a measles epidemic: in the region of Nouvelle-Aquitaine since November the outbreaks have resulted in 269 confirmed cases of measles, of whom 66 were admitted to hospital for treatment. Even more worrying, the region has a too low vaccination rate to cope with the epidemic (between 70% and 81% of people are vaccinated, lower than the level recommended by the World Health Organisation – 95%). The fall in public confidence in vaccines has become more and more of a challenge which has contributed to low rates of immunisation against the rise of highly contagious disease across Europe. 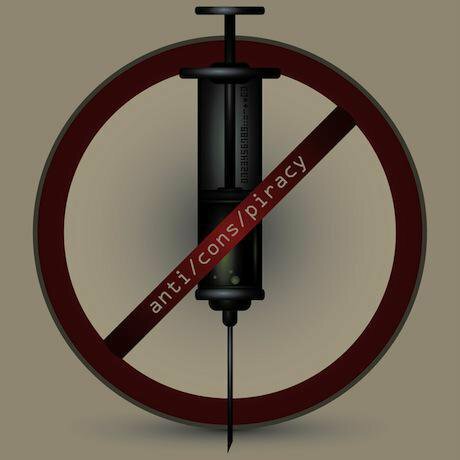 Media controversies, some political propaganda and the spread of fake news (from big pharma conspiracy to autism) have fuelled a dangerous mistrust of vaccines. Does the EU want to play a role on this issue? The European Commission is currently exploring ways for Member States to work together on immunizations. Vaccination policy is a competence of national authorities; however, a lot can be done with the support of Brussels. President Jean-Claude Juncker has singled out the issue in his State of the EU address, where no other reference to health policy was made. Reading through Juncker’s White Paper, vaccines hold a significant position in EU political debate and policies. To prove that, a proposal for a Council recommendation on national vaccination policies is expected in the months to follow. President Juncker commented on the measles epidemic in Italy and Romania: “It is unacceptable that in 2017 there are still children dying of diseases that should long have been eradicated in Europe (…) This is why we are working with all Member States to support national vaccination efforts. Avoidable deaths must not occur in Europe”. So, what can the EU do to tackle vaccine hesitancy across Europe? EU incentives and best practice sharing could tackle vaccine hesitancy, especially in the frame of the increasing impact of digitalization (e.g. countering fake news messages on social media, promoting aware-raising campaigns). Also, it is likely that better aligned vaccine schedules can help to increase trust and confidence in immunisation programmes. Article 168 of the Treaty on the Functioning of the European Union (TFEU), provides that Union action must complement Member States policies and cover monitoring, early warning, and combating serious cross-border threats to health, by coordinating national policies accordingly. Epidemics are by definition cross-border and shared threats. No single country can cope with them alone. Vaccination is one of the most important medical measures developed in the twentieth century and the best defence we have against contagious and serious (sometimes deadly) diseases. Thanks to vaccines, smallpox, polio and many other fatal diseases have been eradicated. Vaccines hesitation and the related decreasing immunization coverage represent a shared European threat. They put at risk human health by causing resurgence of infectious diseases long since considered under control (in 2017, Europe observes a 4-fold increase in measles cases compared to 2016). - Second, the European Commission should investigate the causes of vaccine hesitancy and put in place policy programs to increase awareness by enhancing fact-based information about vaccination. Many stakeholders look forward to the Council Recommendation. I believe that many companies and organisations will then have the chance to prepare in advance policy solutions to the EU’s imminent drive to coordinate national policies.